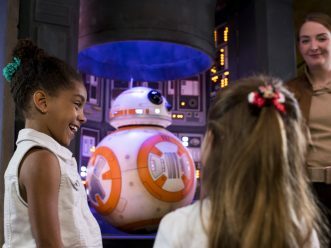 In Disney’s Oceaneer Club, Star Wars: Command Post takes kids on a journey where they train with heroes of the Star Wars saga and help with missions against the First Order. 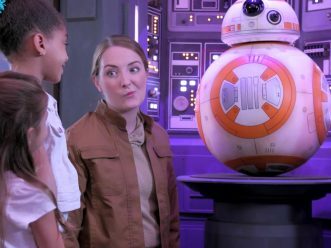 Themed to a Resistance base turned Force-filled play area, this youth space takes kids to a galaxy far, far, away in a whole new way. 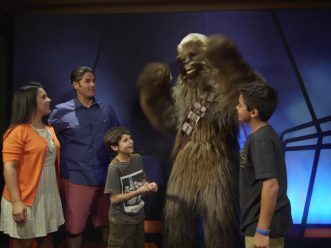 Also in the Oceaneer Club, at the Marvel Super Hero Academy, kids learn from real-life Super Heroes the heroic values of enlightenment, worthiness and loyalty through a variety of courses. 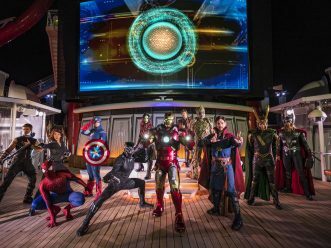 In this innovative space, children can learn the ways of the mystic arts and find their inner powers with Doctor Strange — who makes his first-ever Disney Cruise Line appearance on the Disney Fantasy — or even come face-to-face with the Mighty Thor to discover what it takes to become a true hero. 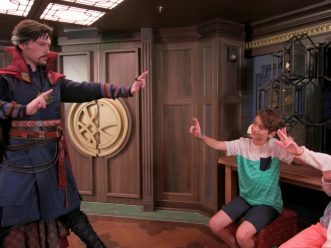 Kids can also interact with and open portals to different locales around the Marvel Universe with the help of the sorcerer supreme himself, Doctor Strange, and immerse themselves in an exclusive gaming experience encountering Super Villains along the way. 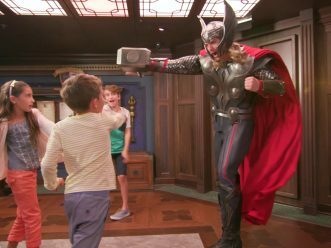 Throughout the academy, curious children can examine truly powerful relics including Black Panther and Ant Man’s masks, Doctor Strange’s sling rings and a vile of the mysterious Wakandan vibranium that made Captain America’s shield. 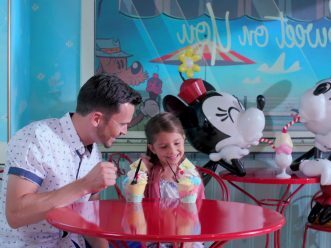 New to Deck 11, families can enjoy Sweet on You ice cream shop, themed after the iconic Mickey Mouse cartoon shorts and designed with charming art details. 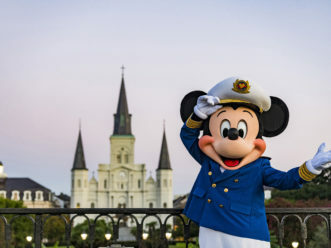 Immersing guests into these cartoon shorts, the ice cream shop’s décor features the fab five including Donald, Goofy, Daisy and a photo op with Mickey and Minnie enjoying a sweet treat. Sweet on You offers a variety of hand-crafted gelato and ice cream flavors with specialty sundaes topped with whipped cream, sweet sauces and a plethora of toppings served fresh daily. 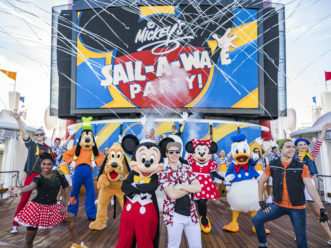 Specialty sundaes are served in exclusive bowls themed to Mickey and Minnie’s colorful, whimsy attire. 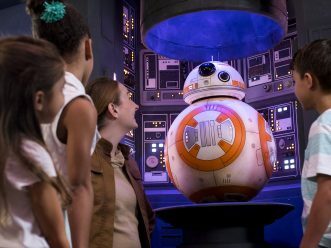 Signature milkshakes such as Chocolate Fudge Brownie and Caramel Waffle Cone, as well as decadent treats including raspberry macaroons and chocolate-dipped marshmallows, join the assortment of handcrafted truffles, cupcakes and specialty brownies offered. 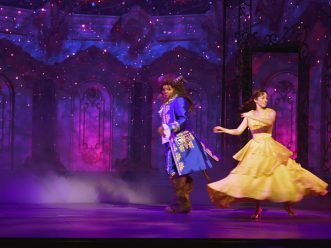 For the first time, Disney Cruise Line welcomes the world’s premier jewelry and iconic American luxury brand, Tiffany & Co., with an exclusive store aboard the Disney Fantasy. 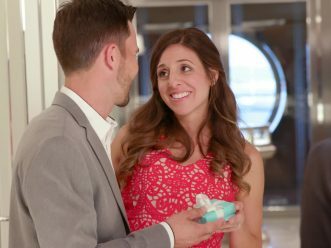 Guests can indulge in timeless collections of jewelry and luxury accessories, including the effortlessly elegant Tiffany T collection and other glamorous pieces featuring renowned Tiffany & Co. diamonds. 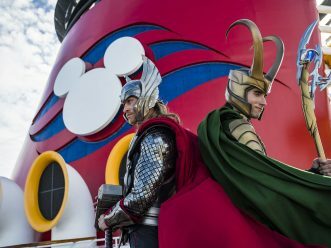 These additions were part of an overall commitment by Disney Cruise Line to invest in their ships, helping to deliver incredible family vacation experiences for years to come. 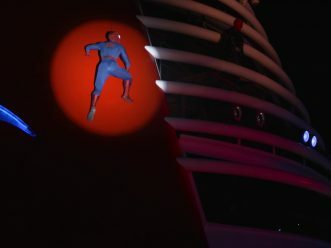 While making these enhancements to the Disney Fantasy, crews perform regularly scheduled and wide-ranging maintenance to keep the fleet in tip-top shape, further demonstrating the unwavering commitment by Disney Cruise Line to continually elevate the guest experience.